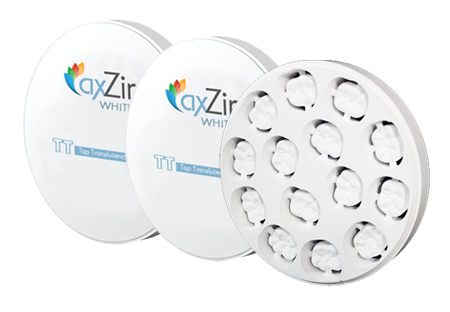 AxZir full-contour zirconia offers dental technicians an efficient and reliable method for producing aesthetic zirconia restorations. 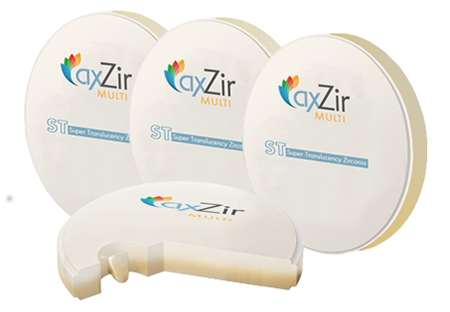 Multi-layered and pre-colored discs are also available. 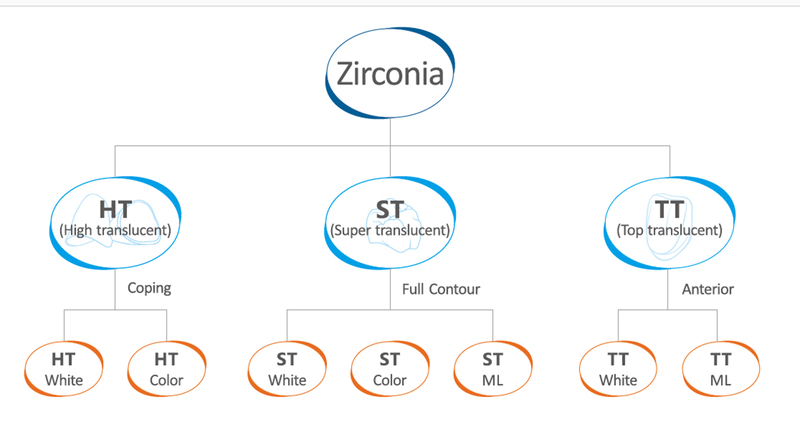 Colored zirconia blocks are available in LL1, LL2, LL3, LL4, LL5. Or A1-D4 vita 16 classical shades. 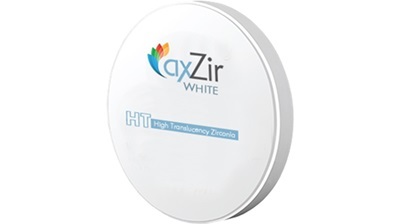 AxZir ST-Color Shaded Dental Zirconia AxZir Discs are optimised for open systems. 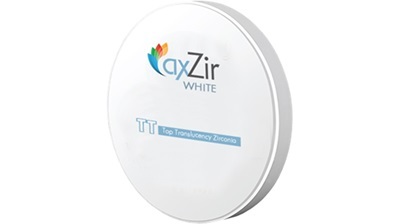 All blanks consist of pre-sintered zirconium dioxide stabilised with yttrium oxide (3Y-TZP-A). These blanks are distinguished by their enhanced strength and long-term hydrothermal stability. An absolutely homogenous structure is achieved through a specially developed production process. The blanks are optimised for rapid milling strategies and provide excellent edge stability and green body breaking strength during processing. 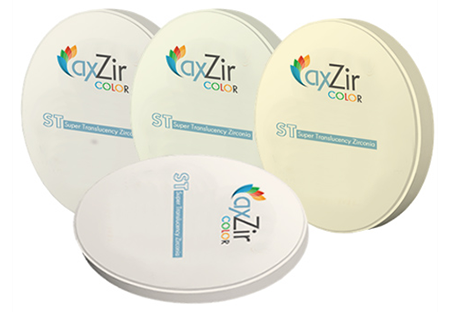 AxZir Pre-shaded biological nano zirconia discs ar made with pre-dyeing treatment of ST or HT zirconia blanks, maintaining excellent physical performance, quick milling and significant processing advantages.